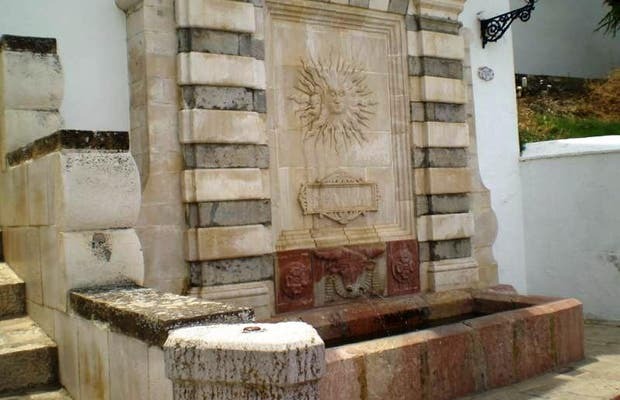 This fountain is in the high area of the city, almost in front of the Arch of the Giants, within the medieval part of town. Because of its location it is obvious that it supplied water to the guilds. To get there, go into Antequera to the west and follow signs to the heart of town. That way you will reach Piazza San Sebastian where you need to take the road to the historic area, the medieval city. About 50 meters before the arched entrance to the citadel is this fountain. On the typology its present appearance is from mid-19th century, it belongs to the historicist style. It looks like an Egyptian temple.